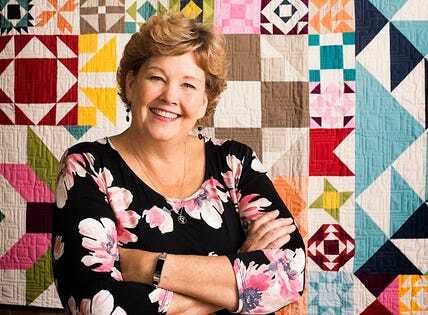 Jenny Doan ended up being a huge hit on YouTube: Her 500 videos have been viewed more than 150 million times, and they draw Jenny-lovers to tiny Hamilton, where they spend thousands of dollars in the company’s 12 quilting supply shops, each with a different theme, like Florals, Kids & Baby and Batik Boutique. The company has more than 450 staffers and is one of the biggest employers in the region. Forbes estimates Missouri Star’s annual revenue at $40 million. Read more on Forbes about Missouri star here.